Finally, a solution to protect or heal everyone from Zika and other Mosquitoes. Following RIO’s “awesome” first Green Opening Ceremonies, here is a chance to be Olympic Heroes while helping protect Olympians and everyone, especially the brains of children, from the devastating Zika Mosquito Virus. A United Nation’s team just finished developing a formula for an “organic body spray that gives 100% protection for a full day from Zika and its related painful Chikungunya and Denge Mosquito viruses they may also carry.” Given the CDC and World Health Organization (WHO) say “there is no other specific treatment for any of these three mosquito viruses, just rest, fluids, and medications to reduce fever and joint pain,” this is a Godsend. “We also developed an oral formula to reduce the affects overnight of those bitten by Zika, as well the Chikungunya and Denge mosquitoes, since these three daylight active mosquitoes are all carried by the Egypti mosquito. The oral had positive results for infected patients in Mexico and the U.S.” Experts Warn Of More Mosquito Born Viruses At The Olympics. 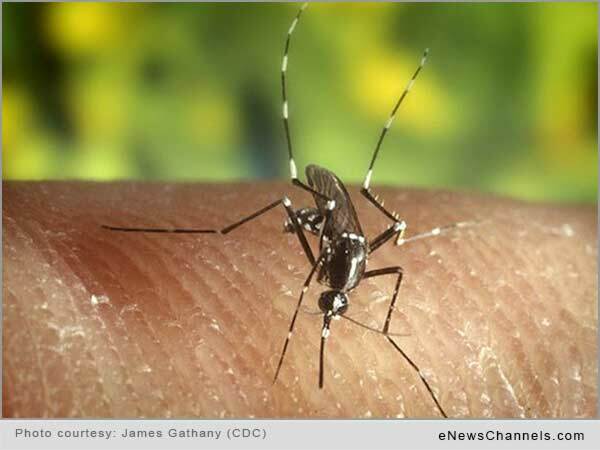 While most of us thought Zika bites solely hurt the brains of fetuses, WHO said, “People may suffer from mild fever, skin rash, conjunctivitis, muscle and joint pain, malaise or headache, lasting for 2-7 days. The South Koreans brilliantly developed Zika-resistant uniforms for their Olympians and officials, a physical and psychological advantage. This natural UN solution could do the same for anyone, since athletes who need to be 100% to win. And the basic cost of either spray/topical or oral would be under a dollar a bottle. As a concerned Olympian, I had asked Sonnenschein in July if his amazing team might have a solution for RIO’s Zika challenge given the bad publicity. To my surprise he said, “Yes.” Within a month they magnanimously created these two formulas. CNN’s Dr. Sanjay just showed how thousands of moms in Brazil have to measure their newborns’ heads every day to identify those with the microencephly brain defects, so they can quickly get therapy. Can you imagine? Brazil and many other governments just gave families warnings to delay pregnancies for up to three years. The Zika virus is connected to poor sanitation, nutrition, and toxic soup surrounding us. CNN just warned pregnant moms to stay away from Miami, so these UN solutions can compassionately protect families of all economic levels from Latin America and Africa to NY from the virus. The U.S. already has 1,600 cases of Zika, including the military. Sonnenschein’s immediate tests would cost $20,000-$25,000 USD to continue lab and clinical evaluation, and a total of $250,000 to also implement these Zika (Chikangunya and Denge) preventative and oral solutions at RIO within two weeks. While more research is needed to see if the oral totally eliminates the Microcephaly virus from the brain, since victims said their brains itched for two days, so that is a good sign. The Olympic press could springboard these solutions and prevent short and long term suffering of untold families. It was just on TV that pregnant women are concerned about using the pesticided Zika spays like DEET, since anything that touches the skin gets in the bloodstream to all the organs, and pesticides harm brains. With no end of the plague in sight, the pesticides would build up unless there is a 100% effective organic Zika formula like the UN’s that can protect women and children long term. as well as men to help Zika from spreading sexually. And when indoors, strong fans prevent mosquitoes from landing on us. Health leaders say we are potentially facing a growing epidemic, costing billions that could disrupt our healthcare services, unless we as an Olympic Family also Rise like the musicians and actors to curb Climate Change so generations can have Olympic dreams. So help JOY for ALL win at RIO and beyond. History teaches us that in addition to non-stop wars in Ancient times making it too dangerous to travel to Olympia, it caused droughts and pestilences that brought an end to the Ancient Olympics 50 years after it started in 776 BC. Scientists have verified those pestilences killed up to 30% of their population.” (http://ancientgreece.com/essay/v/the_plague_of_athens/). In demand by ancient world leaders, the Oracle of Delphi was consulted by the Olympic Elders who advised them to stop all wars for a month before and after the Games so athletes and leaders could safely travel great distances to Olympia. This revived the Ancient Games for 1,000 years, since it reduced their wars, droughts and pestilence to create the Golden Age of Greece. Since the temperatures in the last two years have been the highest in history causing insects to hatch sooner and stay longer plus fungi destroying vast farming and forest lands, we need to stand up to stop the wars like Ali. Plus through joyful sport outreaches at home and world’s hotspots we can heal trauma and stop the cycle of violence to create our Golden Age. Tsunamis of blessings for sharing this, or a tax free donation, or forwarding this to any of your angel, sponsor, investor, Olympic, pro, foundation or Forbes friends who would love to be part of this Heroic Humanitarian Olympic Team under a multi-colored Children’s Flag, to help JOY win at RIO. PHOTO CREDIT: Photo courtesy James Gathany (CDC). Article is Copr. © 2016 by Suzy Chaffee and originally published on eNewsChannels.com – a publication of NEOTROPE® – all commercial and reprint rights reserved. Opinions are those of the author and may not reflect the opinion or policy of this site or its publisher. Content has not been edited or revised to retain the original author’s speaking voice in expressing her thoughts. Alternate versions of article published elsewhere have no relation to this site, its content or publisher. READ MORE from Suzy at: https://enewschannels.com/author/suzy/ .